And that`s all ! Jodie will use her own body meshes and textures. Therefore, even if you're a fan of those odd bloated bodies and crooked textures, our Jodie won't be affected. This mod loads somewhere in the end of your mod list where all the other companions load, I think. 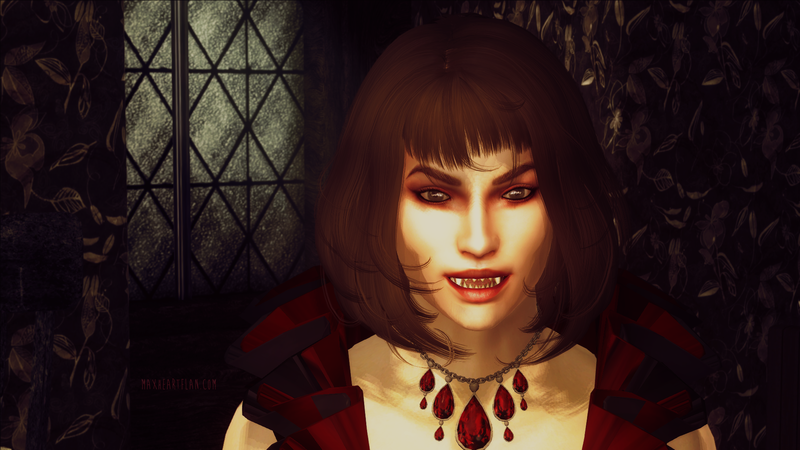 This mod adds a standalone companion named Jodie. Jodie is a vampire. The mod is based on the GGC script. Extra hair: Jodie has an additional hairstyle that is more casual of sorts. You have to use construction set to change her hair. Because Dustin had made this beautiful face texture. When you first meet Jodie, she is standing among the wintery congelation (outside Bruma main gate) in a very posh outfit (courtesy of AlienSlof and Korana). Once you gain access to Jodie's controls, you can choose her class. After your done, the armour fitted for her class will appear in her inventory alongside with her initial armour and weapon. Choice is yours now - you may leave her in her formal dress, or dress in vanilla armour, or give some 0ther clothes, if you have them installed. Be careful it was reported that our companions tend to get naked when the command "At ease" or "Take a rest" is given. They do this for a reason, I think that's just the way they relax. "Even if you're a fan of those odd bloated bodies and crooked textures" LOL!!! 99,99% of people use those creepy bodies with twisted UV maps, it's absurd!!! In times of universal deceit someone has to tell the truth and commence revolution. I love you all modes. But you are the kind of woman's body too restrictive. Thanks a ton for supporting Roberts. I might not use it anymore, but it is superior IMO. Luckly, I love playing with both Robert's bodies. I hope I'll be able to convert some cool clothing to use with her and Vilja. (I need more male companions though, my game is full of girls: Vilja, Neeshka, Sonia...). I can't stand Fergus's voice anymore (it's my voice after all). I put my hands on your Gill and Aaron. Gosh, I hope Room207 releases his ebony dude soon!